Hi, my name is Leanne. 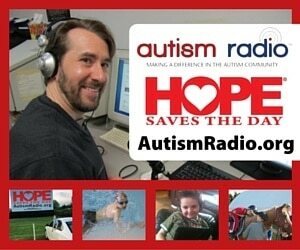 I’m from Upstate New York and have Asperger’s syndrome. As we all know, the tween and teen years are rough for most people. 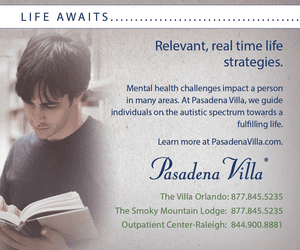 However, for people on the autism spectrum, this time in life can be especially hard, and can bring on some unique challenges. People with autism go through all of the same changes (both physical and emotional) during their tween and teen years as neurotypical people do. I am aware that many parents/guardians, as well as those who work with people with special needs, worry about the tween and teen years. However, this might not be as scary as it seems. Educate the person to the best of your ability (and in a way he or she will understand) about what is going to happen. You may talk to the person yourself, you may choose to find some reading material on puberty (but make sure it is appropriate to the person’s level), whatever way you choose to go about it, as long as it is appropriate for the person. Social stories have been known to work for people on the autism spectrum, and you may be able to find some examples of social stories about this topic online. Also, make sure the person understands that these changes are okay. Sometimes, no matter how hard you try to educate the person on the changes that are going to happen, he or she might not understand. Also, many people on the autism spectrum are very literal and concrete in their thinking, so if the person is a girl, make sure she knows that when she gets her period, the blood might be brown, dark, or red, as she may mistake brown or dark blood for poop. 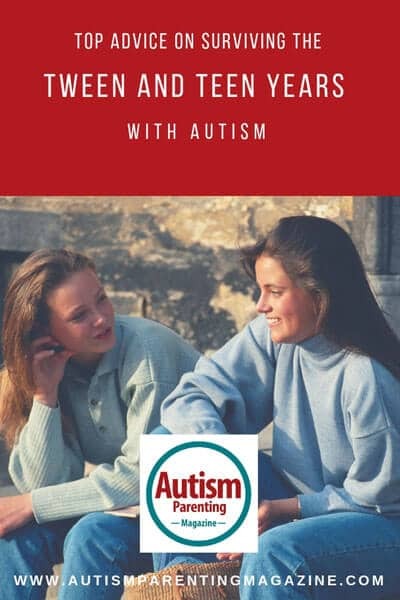 Another thing is that just like neurotypical people, people on the autism spectrum (or with other special needs) may become interested in dating and “relationships” during the tween or teen years. Make sure the person knows what is and is not ok on a date or in a relationship. You should also make sure the person knows what makes a good dating or romantic partner. And definitely make sure the person knows what types of touch are okay, and which ones aren’t. This does not apply only to dating and romantic partners, but to everybody, no matter who they are. And make sure the person knows what to do if somebody or something makes them uncomfortable or confused. Just like many neurotypical people, many people on the autism spectrum become more aware of how they are different from others during the tween or teen years. This can be especially upsetting for them, since they may be so used to the “rules” being adhered to in a very rigid manner, and all of a sudden he or she sees people doing things differently. It may also be harder for some people on the autism spectrum to understand when the rules don’t need to be followed. In fact, some people on the spectrum may not even understand that there ever are times where the rules don’t need to be followed. However, instead of trying to go along with what others are doing, tweens and teens on the autism spectrum may attempt to control others’ actions by either policing the other person or people or by making them feel bad, or like they “should know better.” And even if the person has never said anything like, “that’s not fair,” he or she may say this (or something similar) during the tween or teen years. The person may be so used to hearing adults say things like, “It’s not fair that you get more cupcakes than your siblings,” or, “But that wouldn’t be fair to the other students,” that he or she might not understand why certain people are all of a sudden being treated differently, and this seems unfair. Think of a time you saw someone (it may or may not be this particular person) doing something you knew was wrong, how it made you feel, and how you responded. Now try to remember how old you were when this situation happened. If you were an adult at the time, then you probably responded very differently than you might have when you were around the same age this person is now. Also, I know this may be hard sometimes, but always try your hardest to show the person patience and understanding. Remember, what this person is going through is probably just as tough and confusing for him or her as it is for you, if not more so. Maybe you can take time to remind the person of what you like about his or her personality traits. Well, you should really do this with everybody regardless of their age, and whether or not they have special needs, but it is especially important to do this at this time, and for people with special needs. Is the person considerate? Energetic? Confident? Determined? Or instead of making the person feel like you want him or her to change, try to help him or her find ways to channel these traits into better outlets. For example, if the person is more on the determined side, instead of using negative terms such as “not very nice,” “selfish,” “bratty,” “naughty,” maybe you can try to help the person channel his or her determination into different outlets. Maybe you can get him or her involved in a cause of his or her choice. Leanne Strong was born at the end of June, in 1993, in Rochester, NY, and grew up just outside the area. She was diagnosed at the age of 2 1/2 with an autism spectrum disorder, and is fairly high-functioning on the spectrum. Leanne Strongwas born in Rochester, NY. At the age of 2 1/2, she was diagnosed with a language disorder, but after further testing, it was determined that she was on the milder end of the autism spectrum (PDD-NOS). At the age of 15 (almost 16), she was re-diagnosed with Asperger's syndrome (milder Autism Spectrum Disorder). 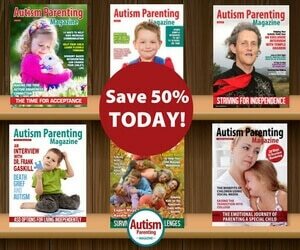 Leanne hopes that this article will help parents and professionals better understand why their child (or the child they work with) who is on the autism spectrum is always pointing out when he or she feels that something is not fair and hopefully help them figure out different ways to explain fairness.